A teenage girl, trying to come to grips with the death of her mother in a horse-riding accident, nurtures the foal of her mother's horse. This is a wonderful family film in the tradition of Disney. 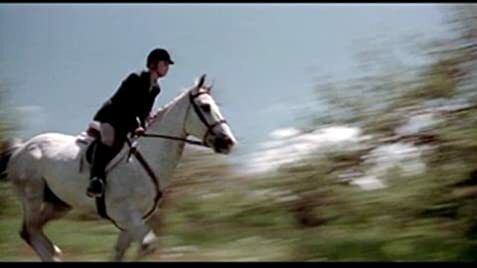 For every female who loves horses, this film will touch in a way no other film can. Yes, the plot twists can be seen coming but this does not change the good feeling that the end leaves you with. Gabriel Byrne is wonderful as the father who just wants to protect his children. This is a movie to be watched with a large bowl of popcorn and a large box of tissues. When Virginia falls off her horse, you can clearly see the boots of someone riding Stormy back to her.